Telephone: 213 905 or 212 844 (government office). Go really off the beaten track to the Bijagós archipelago, a group of small islands that are largely uninhabited and rarely visited by foreigners. With a bit of negotiation you can arrange boat transport and find yourself camping on a deserted beach. Visit the Cantanhez Natural Park in Jemberem, a community-based conservation project established to protect birds, monkeys and chimpanzees (although there is some debate as to whether they are actually present in the country or not). You can arrange a guided tour through the local chief. Every year in February or early March, Guinea-Bissau celebrates Carnival with street dancing and processions. It is a good opportunity to see the ethnic diversity of the country displayed through different groups of costumed dancers and musicians. The locals certainly know how to throw a party. Feeling adventurous and yearning for sandy shores? Then make tracks for the town of Varela, on the border with Senegal. The journey there requires bumping along a 50km-long (31mile) dirt road from São Domingos, but it is well worth it when you finally reach this slice of paradise. There is a small hotel offering good food, a beautiful beach, a pine forest and very few tourists. 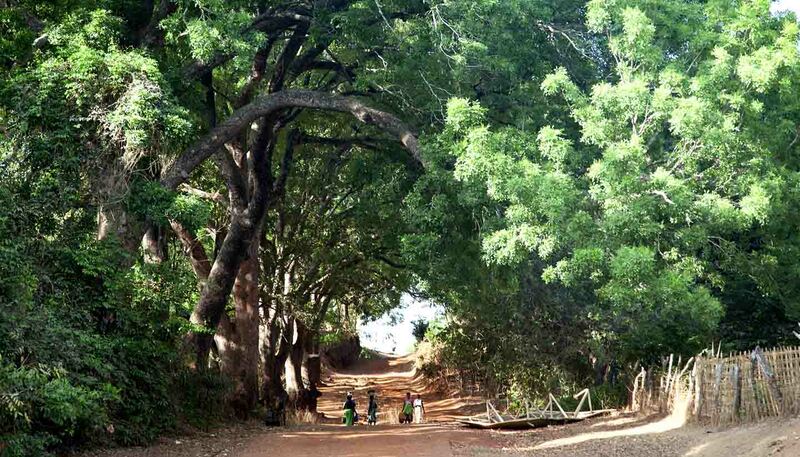 Enjoy the relaxed atmosphere and faded glory of Bissau, the capital. There are plenty of cafes from which to sit with a coffee and watch the world go by. The Portuguese quarter, with its winding streets and colourful Mediterranean-style houses, is a fine place to while away a lazy afternoon. The unspoiled island of Bubaque, also in the Bijagós archipelago, is accessible by ferry from Bissau and offers accommodation. Fishing is a popular activity for visitors and it is possible to catch tarpon and barracuda. Orango island, also in the Bijagós archipelago, is home to what is thought to be West Africa's largest population of marine hippos. Take a boat trip to Anor lagoon and with luck you can see the rare hippos. There is an eco-lodge on the island or camping can be arranged. It was in Cacheu that Francis Drake and John Hawkins fought against the Portuguese in 1567. The small square fortress on the river dating from the 16th Century was restored in 2004 and contains some well-preserved guns. The town is picturesque and is a good place to enjoy sunsets over the water. Joao Vieira-Poilao Islands Marine National Park, which can be found in the Bijagós archipelago, is an important nesting site for green turtles. Hawksbill, leatherback and olive ridley turtles are also present here. There are various campaigns to give more protection to turtles in Guinea-Bissau – join the good fight. One of the easier islands to reach in the Bijagós archipelago is Boloma, the original capital of Guinea-Bissau. There are some attractive ruins and several good beaches to see here. There is no accommodation but, if you have your own kit, camping is possible.